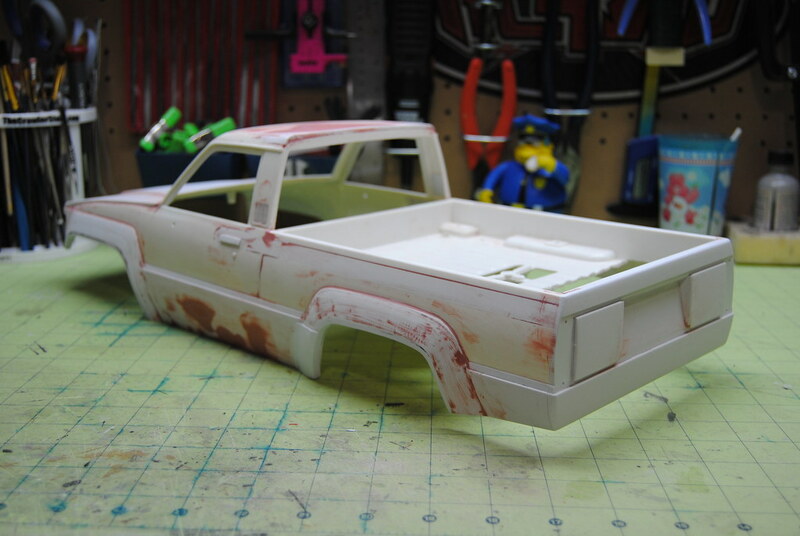 Mutilated Tamiya Hilux body with some extra styrene glued to it. It started out as a Trail Finder 2. 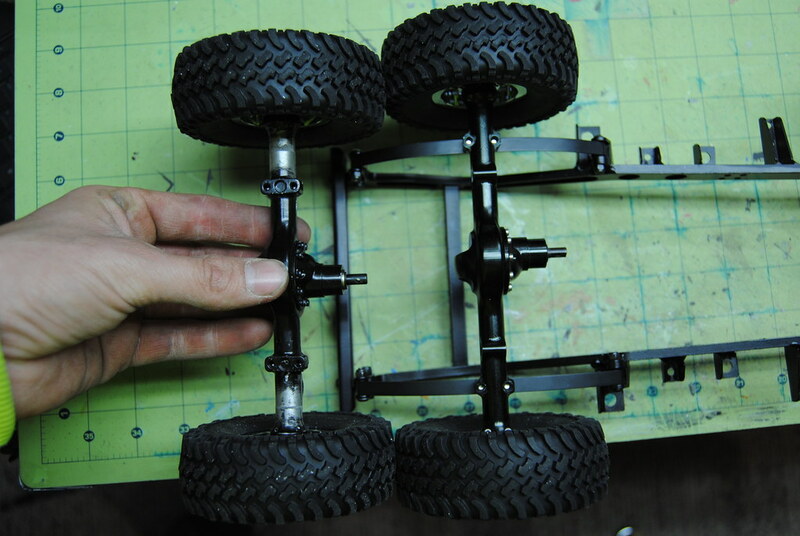 I swapped the 2 speed for an Axial transmission, flipped the front spring hangers and shackles, stuck the steering servo on the correct side, raised the transfer case and narrowed the yota axles. When your hands are dirty, it means it's working. OOoooo some crafty stuff going on down in O high O... and it's heading in the upwards direction! I can't believe that used to be a HiLuX! 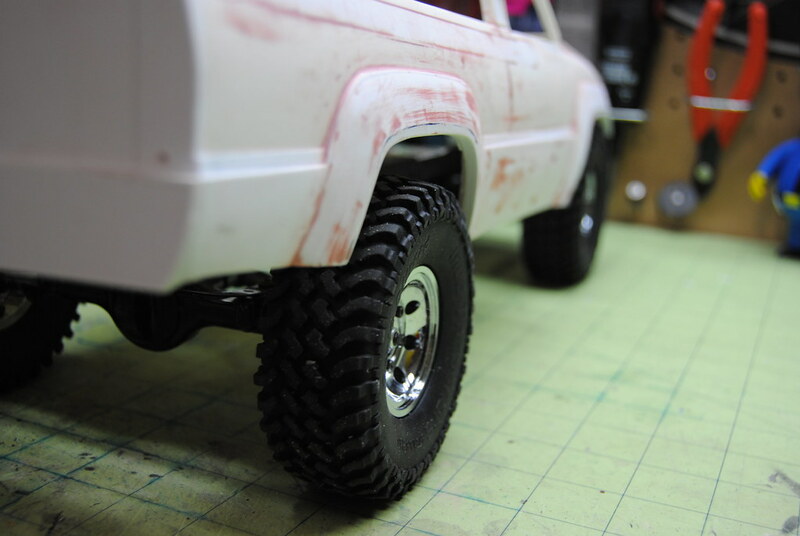 Did You carved and sanded them from "multilayer - styren" ? Something tells me it's gonna be red. 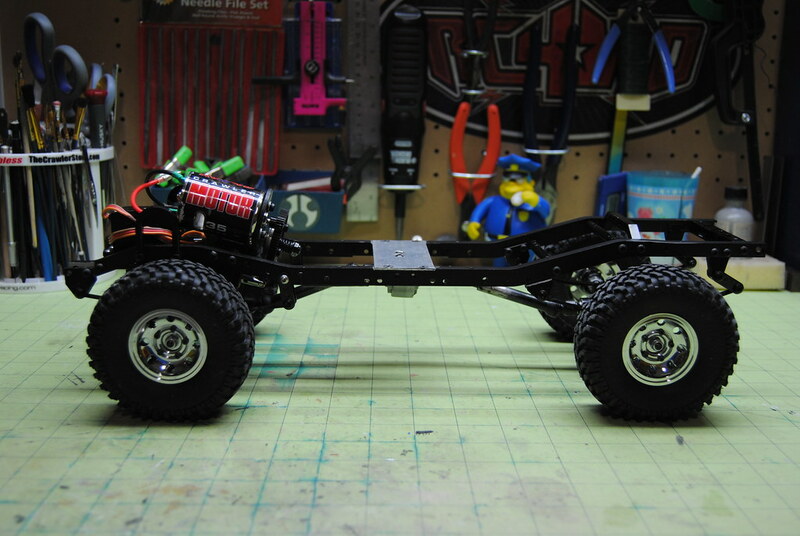 solid front axle, check. 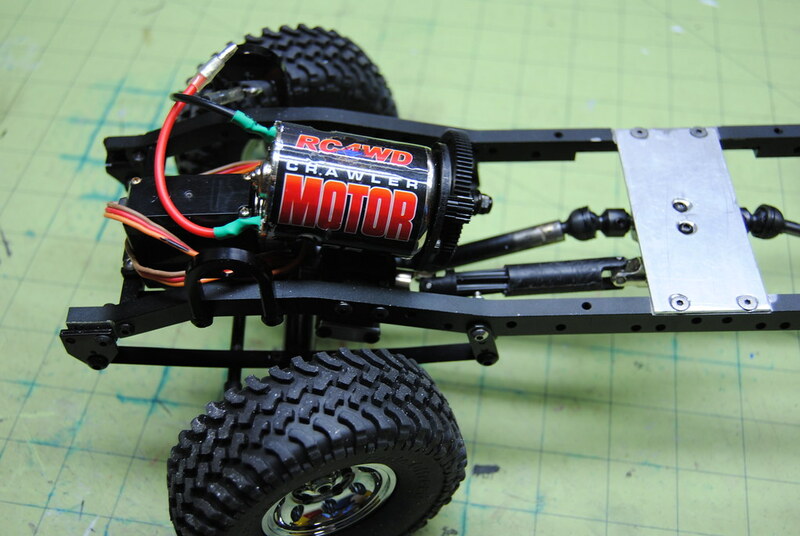 carburetor equipped crawler motor, Check. 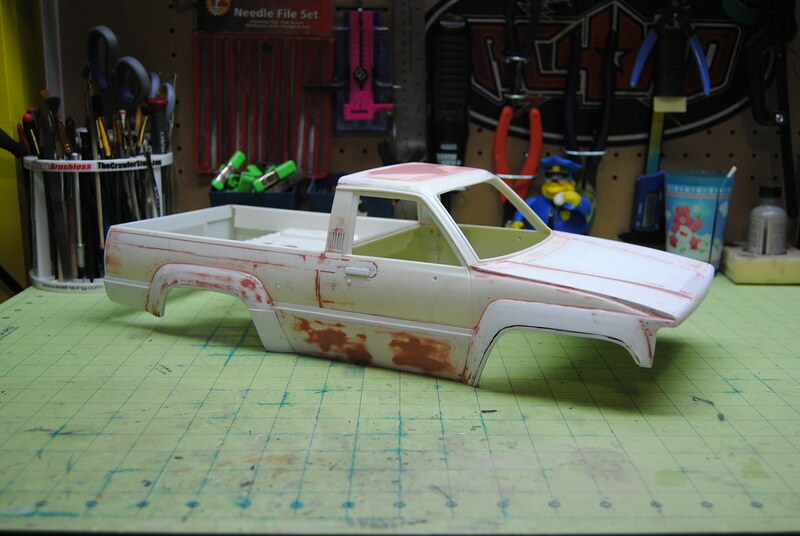 I picture Lowe's Muted Drab Green and Plasti-Dip.